Coldplay are giving away a remix version of Viva La Vida via their official website. The remix is by Thin White Duke - producer/electronic artist Stuart Price - and is available for fans to download "until the Twelfth Night" (5 January 2009). Price previously remixed Coldplay's 2006 single Talk. Price has also worked under the names Les Rythmes Digitales and Jacques Lu Cont. Coldplay's original version of Viva La Vida was Number 1 in the UK on its released in May 2008 and was used by Apple in an iPod advert, but has since become embroiled in controversy. Instrumental rock guitarist Joe Satriani is suing Coldplay over Viva La Vida, claiming its melody is substantially the same as his own track If I Could Fly. Satriani has told MusicRadar he is "really hurt" by the Coldplay tune, though the UK band claim any melodic similarity to If I Could Fly is a "coincidence". 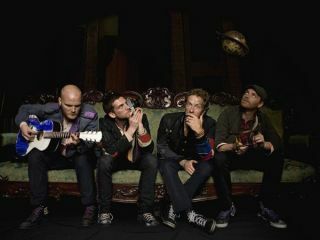 Coldplay's posting of a free remix suggests the band are confident that the melody is theirs. Coldplay's original recording of Viva La Vida has been nominated for a 2009 Grammy. Any thoughts on this Viva la Vida remix?